In 1987 Peter Boelen opened his guitarshop De Plug located on the Ruysdaelkade, a beautiful part of Amsterdam also known as the "Quartier Latin " of the city. It was his idea to create a place especially for the musician with a low budget ( don 't we see this often? ). From the very first moment when he started selling second hand guitars & amps De Plug became a known place where people use to hang out and bands were born. 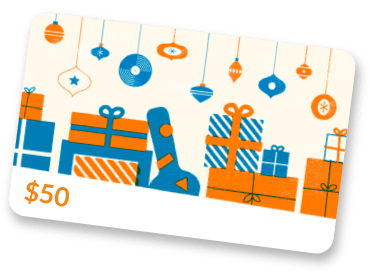 Nowadays guitarplayers from all over the world visit the shop that is full of the most lovely guitars, basses, amps, effect pedals and miscellaneous items. Known musicians found their way to the shop, such as Noel Gallagher and members of the Neil Young Band. Recently Joe Walsh came in and played Peter 's favorite lick from Funk #49 ( James Gang ), Joe Bonamassa checked out a beautiful '61 Gibson SG Les Paul Standard that he is still considering adding to his collection. Poppa Chubby "popped" in and played some crazy blues, The Buzzcocks, Triggerfinger, Johnny Jones ( The Blue Vegetables ), Ryan Adams, not to forget our own celebrities like Jan Akkerman ( Focus ), Cristina Branco, Tommy Castro, Kirk Fletcher, Dany Lademacher, David Hollestelle, Henny Vrienten, Golden Earring, Nuff Said, Big Dez, Douwe Bob, Jett Rebel, Candy Dulfer, all the other members of Herman Brood 's Wild Romance, etc etc. There 's always a nice atmosphere and there 's always something going on in De Plug. Recently Hot Chilli Pepper 's bass payer Flea came down and played on a 67 Gibson EB3 bass that seemed to be the exact model he used to play on in the early days. De Plug is specialized in vintage gear, so guitars and amps are often bought in the USA. Also, if you're looking for a special brand or model, a favorite Fender, Gibson or Gretsch from the year you were born, please let us know! Also, if you 're touring through Europe and you want to hire equipment, give us a call and we 'll help you out. In September 2009 the documentary "Mama don 't like no guitarpickers 'round here" was released, a cult movie about De Plug and its clients. The reviews were very positive and the papers compared the film with Smoke, the story of a tobacco shop in Brooklyn. The documentary by Jacqueline van Vugt was in the Dutch cinemas for twelve weeks and broadcasted four times on television. In 2013 it was shown at the film festival in Bethlehem, upstate New York ! 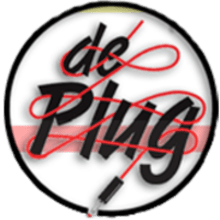 De Plug will celebrate its 30th anniversary in 2017 !! !